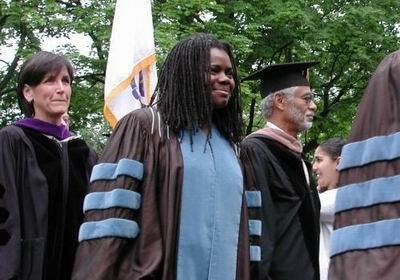 Tufts graduate Tracy Chapman received an honorary doctorate of fine arts on May 23, 2004 at Tufts University, Boston, MA. Medford/Somerville, Mass. 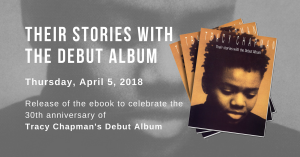 [05-23-04] Tracy Chapman, Tufts alumna and four-time Grammy award winner, during your undergraduate years, you took your guitar, honest voice and the wisdom of your soul to Harvard Square, and soon you won the devotion of Boston’s folk club scene. Today, your voice is heard around the world. You speak to our hearts and minds, writing and singing the stories of hard-pressed people whom society otherwise might easily forget. 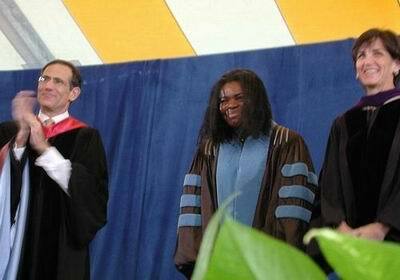 Tracy Chapman, your songs move our society forward, and we hope your message carries far. Your music make us feel and think, and motivates us to act. For your many artistic accomplishments and your passionate social conscience, Tufts University welcomes you home and proudly presents to you the degree of Doctor of Fine Arts, honoris causa.